BIG APOLOGIES, THIS WEBINAR HAS NOW BEEN DELAYED. I hope this doesn’t stop you from donating to help Japan, here is one of the options via Save the Children. I’ve been umming and ahhing about wether or not to do another free webinar before the easter holidays. The world seemed like it was such a difficult place at the moment that I wasn’t sure that it was appropriate. But then I came up with the perfect solution. I’m going to do a 1hr Free Webinar for the first time explaining the Flexible Family Solution in depth; this is my 6 step process that I give to Mums to help them tackle their family’s problems. It’s ever so easy, you’ll get an email, with a button in it from GoToWebinar, which you press just before the call starts (if your computer has a microphone, otherwise you can phone in). Plus, just to help you get your head around it and use it, I’m going to give a Free 6 week web based course to go with it. This can be your little 10mins of ‘me time’ each week during the easter holidays, and a way of tackling the holidays; for me this is going to be a WHOLE MONTH with no school!!!! Plus, for everyone who signs up for the webinar I’m going to give £1 to one of the Help Japan charities, so I need your help to make sure that I give lots by telling all your friends and getting them to sign up too. Go to http://www.MummyWhispererSecrets.com to sign up, and please send your friends. (By the way it’s a double sign up process, otherwise you won’t be the webinar login details). If you are worried about passing on my information because you don’t know what I am about, then check out my post all about me, it’ll let you know what you can expect! Sorry I’ve been quiet guys; I promise to only do one blog during the half term, and then I was going through such an big inspirational time, that I was quiet for a week and then needed a little time out. I’ve been doing an online coaching course to help improve my program launches, and get my head around marketing etc. I must admit to having been a little anti-marketing having worked for a year in a marketing department and hating all the competition. But for the last couple of years, I’ve grown up a lot, and been learning more about it. After all, it’s great to be altruistic etc, but there needs to be a balance between giving and receiving in life, and for me to do well, I do need to get my message out there. I must admit this course has been a real eye-opener. It’s a group course, so we have webinars with the teacher, and a forum to chat about stuff, and information/homework available on line to work through. It’s amazing that what is basically based on a very materialistic subject has been so ‘spiritual’. Forgive me, I’m gonna get a big fluffy ;o) But by really facing the lack of balance in my life and learning this stuff, I’ve really gotten so much clearer on who I am, what I do, and what my ‘message’ is; its really cool. You can see the change most obviously in my main site which has changed look and feel big time, and there have been lots of name changes; I’ll do a post about them later this week. I also have a REALLY exciting new free webinar on the way, with a FREE SIX WEEK online course. But more importantly, I know I’m going to be even better at what I do, because I have such clarity about it now. Who da thought that what is basically a marketing course could do this, after all the ‘personal development’ I’ve done over the years! The other reason I’ve been quiet is because I just couldn’t think what the hell to say on Friday, with the tsunami hitting Japan. There are big changes going on in our world this year, and it looks like nature is taking control. I texted a Japanese friend, but felt horrified and distracted for most of the day. Most of what can be said is irritating platitudes about ‘out of our greatest challenges, blah blah’, and believe you me I’ve wanted to deck people who said that at my worst times. So I’ve been thinking about what can I do? I can’t go over, I don’t expect they need money. Then I thought about what they do need. Well, I do believe in the power of prayer/healing/positive thoughts, so I can send them and keep in touch with my friend here in the UK if she needs me. The other thing I can do, is not be umbilically attached to the news, but keep up to date with it and not ignore it due to it being so horrid. There is a blog here that I found through a well known mummy blogger called typecast and I recommend that you follow it if you are interested. So in the next week you are going to see lots more blogs from me. There will be short ones, a series of tips, ones about my life, and lots more! I was thinking of adding in an agony aunt post once per week? What do you think, would you like to be able to ask a question anonymously and get an answer? Let me know what you fancy, because I’m making so many changes that now is the time to tell me. Ooh, and tell your friends about the blog, because the freebies on the way are great (well, I think they are great and hope you do!). What do I Stand for, what am I about? I was having a chat with a friend the other day about who we are, what we do like, what we don’t like, and thought that maybe it was time for me to ‘come out’ about what I am all about? We all judge something. But it’s different for all of us. Some of us think that we don’t judge, but then aren’t we just judging the judgers? Have a look below. Am I a match for you? Which bits don’t work and which bits do? Some of the ideas below might be a little controversial if you think them through, or have I naturally attracted readers who agree? I’d love to know. If I am a match, is it worth letting your friends know about my blog too? I want to make a big difference, but I need your help to be able to do it and get the message out there. Dancing; I’m not doing enough right now, but it’s my best form of exercise, gets that whole mind-body-spirit thing going for me. In the meantime, I make do with music generally, as it always picks me up. Chocolate; well it’s just gotta be done! What do I tend to stand for? Being grateful for what we have got. It’s an old idea, but counting our blessings goes a long long way. Attempting to not look quite as knackered as I sometimes feel with a young family; weapons of choice are a tinted moisturiser, bit of lip gloss and anything that sparkles. Parenting techniques have their place, but not as a first choice, and hardly ever as a complete solution that fits a family totally. Creating strong foundations and getting the basics right; like looking at nutrition before behaviour techniques, or applying something to your own life before passing it on, or taking time out to ‘be’ with your family even if it is just playing snap. I’m not into making people more ‘happy’, because its a misunderstanding and not possible. I’ll give you balance, so that you can find the happy and appreciate the sad. Life is always a two-sided coin, dark and light, up and down. Noisy eaters who don’t close their mouths; sorry, the snob in me can’t bear it. The word ‘toilet’, no idea why, it makes me whince, a bit like friends of mine do if we say ‘moist’! Of course Curly Headed boy seems incapable of any other word describing the bathroom! Mums having a go at other Mums without any attempt to walk in their shoes for a day, or give them the benefit of the doubt. Narrow mindedness and ignorance; in this day an age there is no excuse for not googling stuff or reading a book. I’m not actually a coach. I call myself a coach because that makes the most sense to people, but my actual qualifications are as a Senior Certified Demartini Method Facilitator (what a mouthful), and I was one of the first senior ones globally. What on earth does that mean you might ask? Well it means that my training was extremely intensive nearly 70 days of 12 hr a day courses (a lot more than most coaches), and I can do the practical more mindset based things that a coach can do, but I can also deal with the painful traumatic stuff that a counsellor can do more quickly. In fact before I started to focus purely on Mums I was specialising in relationships, mental illness, abuse and small businesses (an interesting mixture!). The Demartini Method has been around for over 30yrs, just not as much in the UK, but anyone who watched ‘The Secret’ (a NY Times best seller) will have seen my mentor on there. I spent 13 years in IT, but soon went part-time after training as a Reiki Master 11yrs ago. I then trained as a type of Kinesiologist, and 8yrs ago discovered the Demartini Method because I was looking for something that would really help my clients and do it quickly. Over my career I’ve taught over 4000 people, done about 1000 hrs with clients, written 10 workshops, created over 6 coaching workbooks, and published a book. Most importantly of course is the fact that I’m a Mum, with a 5yr old and a 1yr old, as I do think that being a Mum is important when giving advice to Mums. I’ve been with my husband for 22yrs, 16 of which we thought I couldn’t have children, but then suddenly Curly Headed Boy appeared, followed a few years later by Little Dimples. I work part-time, helping Mums enjoy being a Mum and become more contented. I created the ‘Flexible Family Solution’ as a 6 step system that can reliably help Mums tackle any problem or decision that they face, but still adapt to their uniqueness. Steps 1-2 are all about relationships, I describe it by saying ‘Go from Glaring to Caring: Cut out the shouting and bring your family closer for keeps’. 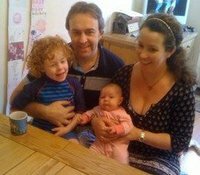 Whereas Steps 3-6 are about the stress and overwhelm which I describe by saying ‘Go from Frantic to Fulfilled: Get rid of the stress and overwhelm and enjoy being a Mum’. Because I have been working for so long I know what people will always need, so to make it more affordable and available I have created online web based programs for Mums, which they can either work through on their own, or more quickly in groups, or with additional intensive 1to1 help. What would I love to have done by the time I’m old and tired? Most importantly, I would like to still have a good close relationship with my kids. I’d love tonnes of happy memories about my time spent with them and to know that they love me, even with all my little foibles and that they have always felt loved. I have been prepping them for 2 grand children each (good to get the idea brewing in them young! ), so I get to relive being a Mum from the fun side of being a Grandma. I would love to know that I had made a difference in the lives of hundreds of thousands of Mums. Sounds a bit Oprah Winfrey, but I can’t help myself. I have LOVED being a Mum, and I just want to share it with people. So here it is, ta da <big drum roll in background>! I’ve been hinting at an exciting announcement coming today and here it is. It’s funny, this is the end result of 6 months of planning and hard-work, I really hope that you will enjoy it and encourage your friends to join in .. I am going to be running a FREE 1hr webinar in 2 weeks time on Thursday 17th February from 8-9pm. It’s on ‘Ensuring Your Children Reach Their Potential‘. I know that all parents worry about how their children are doing and what will happen to them in the future. Well, I have a big secret that I know will help you to make sure that your children end up with lives that they love. “How do you know it’s a secret?” you might be saying? Well, because after attending hundreds of workshops or reading tonnes of books on human behaviour, I’ve only been told this little secret once, and it made my hair stand on end. Like most ‘secrets’ it’ll sound really sensible and simple when you know it, but it just doesn’t appear to be widely known. “Whats a webinar?” you might be saying? It’s really easy, you click on the link, follow the instructions and you’ll get an email with a button to press on the night of the webinar, which will take you to a web page. You will hear me talking, see some stuff on your screen, and maybe even get the chance to ask me a question via your microphone or a chat utility. (You will need a microphone on your computer i.e. can you hear things being played on your computer, otherwise you will need to phone in). “Is it going to be freaky stuff about making child geniuses?” you might ask? Nope, it’s all about your children being who they would love to be, and getting there before they are 30,40 or 50. That might well be a child genius, but not necessarily. “Whats the catch?” the cynics may ask? There is no catch. It’s FREE. You will also get a link to a FREE online course that will help you to apply what I’ll be talking about. Yes, at some point I will spend 5 mins explaining how I help people to do this directly as clients, as some might be interested to go into more depth, but there will be no hard sell. “So what do you get out of it?” say those suspicious cynics (who are actually quite wise!)? Of course I get something out of it, there is no way of giving something for free without getting something, even if it is just to feel good. I do have an objective, and that is to get the ‘Mummy Whisperer’ message out there into the ether, because I totally believe that it will help Mums, and create a stronger generation of families and young people. “I’m not available on thursday night?” Don’t worry, sign up anyway, there may be a way around it (hint hint) for those who have registered for the call. BUT you must have registered. “Can I tell my friends?” Yes please, I’d really appreciate it, if you could pass the news around. 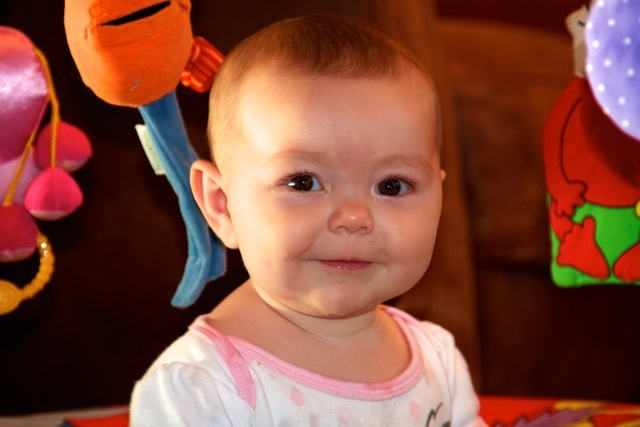 “Is it for me, I have a baby/toddler/teen?” Yes, it is for all types and level of Mum. So Sign Up Now! And Tell Your Friends, because it will help them too. Fancy getting the Mummy Whisperer message out there and making some money? 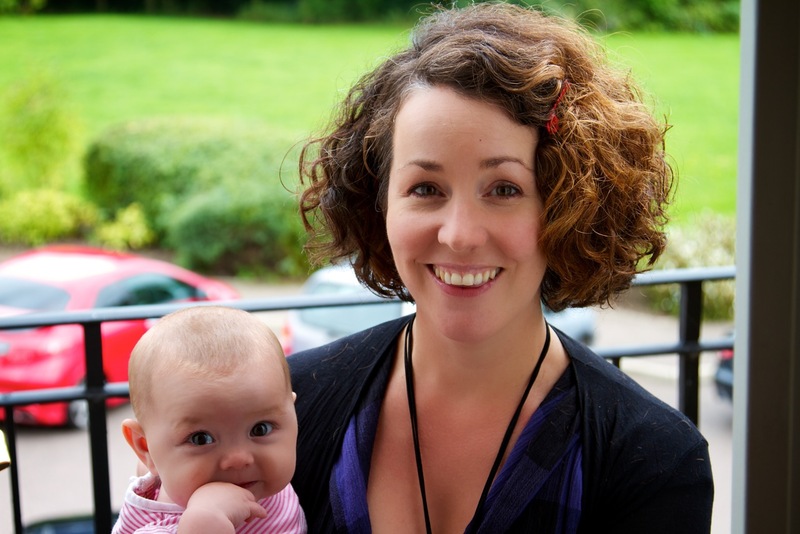 Are you a Mummy Blogger, Coach, or have an email list that is likely to have Mums on it? Do you like the message that the Mummy Whisperer stands for (see below for a quick reminder!)? Do you fancy helping to let other Mum’s know about me? Would you like to be fairly recompensed for it? I’ve mentioned before that I have an announcement coming up next week on Feb 3rd. Now I can’t tell you here what it is, but if you’re interested, email me at Lisa@MummyWhisperer.com and I’ll send you an email with some info. I don’t have loads of dosh, but I will definitely make sure that you are as well recompensed as I can manage, and that will be worth it for you. I’m hoping that it would end up being more than the standard blog price. All I would need is a quick post pointing and encouraging Mums about the announcement on Feb 3rd, those who know me well might want to do another around Feb 17th. But I can only make this offer available to 10 people! Not because I’m being picky or anything, but because I haven’t got my fab super duper affiliate system up and running, so I’m going to be managing it myself manually, and I suspect that human error would kick in after 10 people. Plus, we all know how over-full the blogging market can get when too many people are promoting the same thing. I don’t offer a negative victim oriented perspective or an impossible to achieve positive one; it’s all about the balance, and being centred. That’s all I can remember for now, but if there is anything that is incredibly important to you, feel free to check with me and I’ll give you an honest answer. Don’t worry if you hate the idea, I just thought this time around that I would offer it to Mummy Bloggers, so that the community that I enjoy so much could benefit. If it doesn’t work out, I’ll go the more traditional route another time. Do You Like My Shiny New Blog? I’ve been a bit quiet over the last few months, but it’s all going to change! I’ve been busy learning, creating, learning some more and sorting out my business, thanks to the very helpful advice I got when I posted ‘Help am I deluded‘ back in October. Basically everyone was in agreement that although my products/services were good, I was a bit tosh at the whole sales and marketing thing. (BTW, big apologies for not sending out information about the competition winner sooner, who is Rebecca: my ebook is winging it’s way to you now Rebecca!). I’d basically been watching the X factor auditions and thinking, ‘Oh my goodness, is it possible that the reason I’ve not yet made a profit is because I’m c**p!’. Some people may have been thinking I was, but they missed their chance to be rid of me ;o) So off I went and signed up for a bootcamp program on creating and launching products. Ironically, it was in the same online coaching system that I had just started to use (check it out if you are coach, I really recommend you think about using it, I’ve become an affiliate for it, because I love it), so I have had a taste of what it’s like to be a client of an online coaching program. It’s been blinking hard work, when the creator (Nicola Bird) said ‘bootcamp’ she meant it! Very soon it did become blindingly obvious that my previous ‘launches’ were basically pitiful attempts. I’d create a lovely workshop, book or service, pop it on my website and send a newsletter about it. I always got some pick up, but never as much as maybe I thought the products deserved. I’m using my Mummy Whisperer workshop as the basis of the program that I’ve created as that has been tried and tested over the last three years, but because there is a self-coaching package people can buy, I’ve added tonnes more information to it, and learnt more about videos, audios and lots more techie stuff. If I say so myself, it’s looking really rather fab, I just have to stop polishing and adding to it sometime soon as otherwise the perfectionist in me will never finish! I’m also learning about squeeze pages, email lists, teleseminars, joint ventures, oh and the list goes on and on and on. Like I say, it’s now pretty obvious that I just wasn’t making sure people knew about my stuff. If you want to see what the beta version looked like, have a look here on my youtube page. With a baby I couldn’t do it all, so the gorgeous Violet Posy has helped me out with my blog (lucky thing I’d booked her in advance on a bit of a hunch as she gets booked up months in advance). What do you reckon, isn’t it shiny? It makes me a little hungry as it reminds me of raspberry ripple. I’ve updated my main site to match, and am using my lovely new badges and headers everywhere, so I feel extremely posh! I’m hoping that by having gone the self-hosted route, my blog will start to do better in the different lists etc (you are very welcome to recommend me to people in order to help out this process, pretty please). Plus I now have a big PLAN! I’ll be telling you more about it over the coming months, so keep in touch, especially as there is going to be a fab freebie as a present for you in January to kick your years off with a boost. OOOH while I’m at it, if you subscribe to my blog via RSS, you might want to add this new feed (see the RSS button on the top right hand side). I have added an automatic mover from my old site, but you wont see my new blogs otherwise. So I’ve got another couple of weeks on the bootcamp, then more polishing of the program, and putting into practice everything I’ve learnt. Wish me luck, because I’m hoping that my gorgeous shiny new blog is a sign of success to come in 2011. But from now on, there will be lots more posts coming from me, as I love blogging and have put it high up on my priority list. I’m also going to get the hang of the great theme that got installed and probably have a twiddle myself, so anything you would like to see added to the blog, please do let me know. (Just seen that one of the menus gets cut off when viewing a post, but shows fine on the main page – so will be doing that sooner than expected!). I’ve met my fair share of coach/therapist/healer types who were extremely deluded about either their grandiose plans, their skills or their market actually wanting them. There have also been a fair amount if people with a great deal less training and experience than me, who were a load better at marketing and therefore a hell of a lot more financially successful. So the question is, am I deluded too, or is it just a matter of my marketing skills needing a polish? The thing is, I’ve spent nearly 11yrs in this business in one form or another, and although I’ve enjoyed it, and it’s enriched my life with less stress, 2 miracle kids, a lasting relationship and a feeling of contentment, it hasn’t done so financially. I’ve got to ‘that time’, it’s ‘make or break’. I’ve decided to focus on mums as it is a subject close to my heart. I’ve got a fab new way of doing my coaching online, which makes it more accessible and affordable for mums. Lastly, I’ve signed up for a ‘bootcamp’ to help me launch my new product. But is it doomed to failure, because no one wants it or me? Let’s back track a bit. 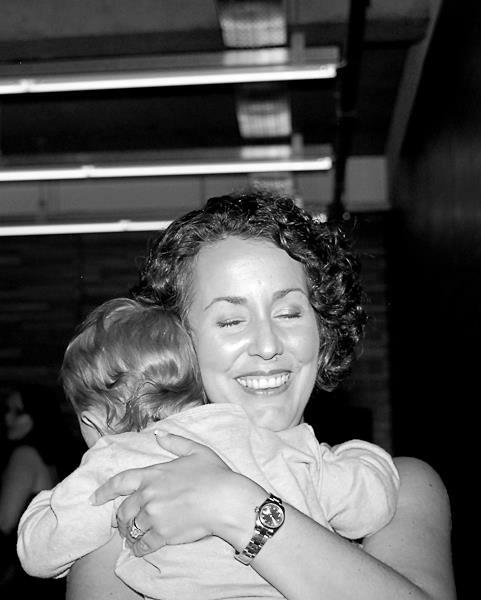 When I became a mum, I realised that the training I had received was brilliant, and saved me many hours of angst. But it was also inappropriate for a mums time and resource limitations, so I created the mummy whisperer program. I saw all these mums talking/blogging about losing their identity, having problems with conflict or lack of communication in their families, and getting stressed out because they thought they/their kids/partners/life should be different. My thought process was that they ‘needed’ all these things I could do to help them be more contented with their lives and grow strong families. But, do mums really want it? That is, it might sound nice, and a few might sign up, but are there enough who REALLY want it? And would they want me? And would they pay enough to make them appreciate it and give me a fair level of earnings? Apparently, I am meant to focus on a smaller niche than just mums, one where I have experience, credibility and contacts. The idea is if I focus on a niche, my message will be clearer and will get more mums signing up. So that has made me decide to focus on mums with kids starting nursery or school. Not new mums of babies, because my longer term plan is to provide them with a book, and not mums of teens because I don’t have teenagers yet. But if there is a market, the next question I’m facing is wether I need to cut it down even smaller to: working mums, work from home mums, or stay at home mums. Now I reckon that my program would help them all, especially as they all face guilt and work/life/rest/play balance in some way shape or form. But I can also see several potential problems, especially that working mums don’t have enough time left over to make their lives easier, and SAHM’s wouldn’t want to spend the money on themselves. By creating a program that can be worked through online, I was hoping that mums could fit it into their lives more easily, and by giving a payment option over 3 months with a 14 day free trial it would make it more affordable. But that might not be enough, or is that where marketing comes in? There is an even bigger problem as well! What I’m offering is a way for a mum to be more sure of themselves and listen to their own natural instinct and knowledge of their family, instead of a one-size fits all parenting technique. But do mums want an answer tailored to their own family, which leaves them in the driving seat, or would they prefer to be told what to do according to a set of rules, even if it’s pretty much impossible to create? If there are mums who like the idea of what I offer, does that mean that they are already going that way and so don’t need my help? In the past I have specialised in mental health issues, relationship problems and small business owners. Perhaps a mum facing the loss of her marriage, mental health or business would be more likely to ask for help. But if that is the case, then I’m going to have to take more time off work, because I don’t currently have the time to support these more extreme demands; I was planning on tackling them later. What do you reckon? I’d really appreciate any feedback (be gentle please! ; so I’m going to offer a copy of my book ‘getting the hang of gratitude’ to one of the people who leave a comment (I’ll use some random fair way of selecting!). It’s been a weird 6 months, I appear to have been in mega ‘declutter your life’ mode. 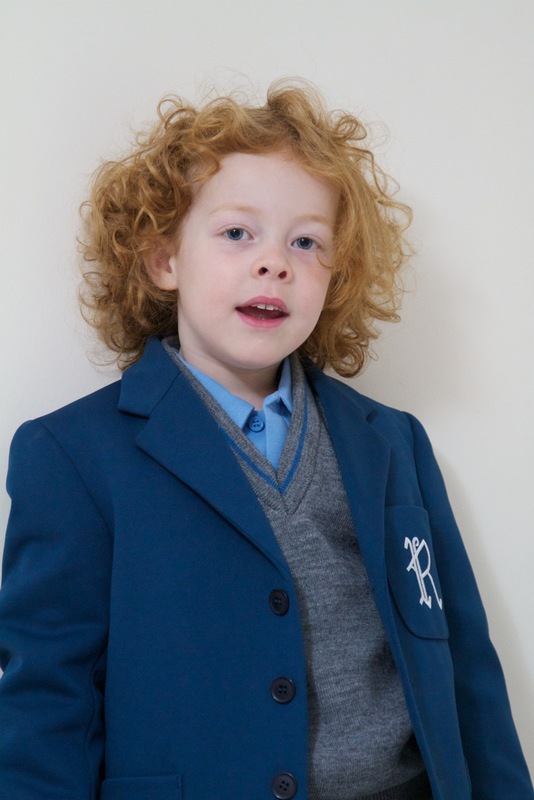 You would have thought that giving birth to little dimples, and curly headed boy going to primary school would have been enough really, plus getting really sick. But I appear to have been on a mission. Maybe it’s because now I have two kids, there really isn’t any space for anything that is irrelevant or takes up time/space I can’t afford? Did anyone else find a similar thing happened to them after having a second child? I’m also much more aware of my age (41), and am having no problem in remembering to eat healthily or take vitamins and minerals that I probably wouldn’t have been reliable about beforehand. I realised that if I’m to see my grandchildren, then some serious work needs to be done to get it into working order. Perhaps it’s a big reality check that happens in your forties? Or is it because it’s my ‘saturn return’ in astrological terms or ‘mid-life crisis’ in psychobabble terms? My lovely astrologer (seriously, if you ever wanted to try it, he’s a lovely guy, brilliant value, very good at it and it doesn’t matter where you live) did say that it was hitting me this year. I’ve found a wonderful woman locally who will take all the stuff you just haven’t managed to get round to selling on ebay and do it for you (if you near St Albans and want her name, feel free to leave a comment below). Although she takes a fee, I reckon that she makes more on the sale anyway, so it’s well worth it. She took a car load, plus sold a bike and a dog kennel that got picked up from our home. Then even better was the discovery of freegle (used to be called freecyle), which is a yahoo group where you can offer ANYTHING for free and within 24hrs it’s gone; FANTASTIC! We had a flood from the shower, so downstairs is going to be refloored (we have holes in the floor from the dog scratching) and the walls painted in industrial child proof stuff! So the house is getting a make over too. Meanwhile big northern hairy hubby is also at it, with a sudden fitness regime and a success at losing weight that he hasn’t had in 10yrs. I think that we would both admit that our relationship needs a bit of polishing after all these years (21, how scary! ), so there is change afoot there too. The biggest change came as I decided what to do about my work. I found it increasingly hard to work out how things would work with the second baby. Now that I’m just focussing on Mums and am just overseeing my more general therapy business, it was easier, but also I realised that coordinating our schedules was almost impossible. Plus for Mums I really needed to be able to provide incredible value for service for a really affordable price, but without making it pointless me working. I was seriously considering just giving up work. After all, I could be a stay at home mum (SAHM), and in the time I would normally work, I could get fit, look fab, and then when the kids leave school I’ll be about 60, so pretty much ready to retire. There would be a hell of a lot less juggling to do. But there would of course be the downside that I lose my sparkle when I don’t work at all, so I might look better, but I wouldn’t be much fun. By the way, you might not know what I actually do? I’ve updated by about page and background, just incase you are interested as to where I came from, and what my qualifications are. But basically, I’m not a parenting coach. I call myself a ‘mummy whisperer’, because I’m just here to help the mum to be clear on who they are, become more contented, get more sparkle in their lives, and create a strong family with less conflict and stress. (There’s lots more information on this blog about the ‘fun creation equation’ and my services, plus on my main site). Then out of the blue I found my solution! It’s so exciting, I’ve kept quiet about it all summer, because I wanted to show you what it would look like before I mentioned it. I’ve found a way, that I can provide help for Mums ANYWHERE, at ANY TIME of the day, 24×7, ANY DAY of the week, for ANY LENGTH of time. Plus the amount of stuff I’ve put in the package is well worth about £7000, but I can sell it from £379, with the option to pay by paypal/credit card over 3 months, so it is really affordable. Plus, it will be there for the Mums FOREVER, to reuse over and over again, for that one price. Plus, for anyone who can’t afford it initially, I’ve got a FREE INTRODUCTION, and will be adding a £27 product to help people sort out their finances. It’s way better than just 1to1’s because all the information is there to be referred back to at any time, and better than workshops, because no one can slip through the cracks and pretend that they understand. (Please forgive me for the shouting in capitals, but I’ve been keeping quiet about this all summer, so I’m kind of over-excited!!). ‘So what on earth is it?’, I hear you ask (hopefully?!). It’s using a product called **jigsawbox, funnily enough created by another Mum who must have been in the same situation as me. It means that I can put my workbooks or workshops online into packages. When you login, there will be different modules, inside of which will be videos, audios, and text explaining that particular subject. Then to help you learn it properly there are exercises for you to fill out. But the best bit is, when you press [send to coach], I can then add my own feedback, so we can interact online. There will also be the option for free webinars, or to add 15min skype chats or longer 1to1 sessions for some Mums who need more assistance (for example, if there are relationship issues, PND, or past abusive relationships). Now I haven’t done a video to show you properly yet, but I will do, so keep a look out for it. But in the meantime, you can get a free introduction to this fab system, plus start to have a look at your own identity and how your family is working at the moment, by signing up for free email list (see RHS). I’d love to know what you think, so please do leave comments below. So how come has all this come about? Well, it might sound a bit tree hugging, but I’m sure there is a vibe of change in the air. I was too late to get involved in *** Josie’s (a well known mummy blogger) writing workshop about change last week, but there seems to be a lot of it about. It’s the jewish new year, and schools always start at this time of the year, so maybe we are all programmed to be thinking about it around now. There are days when it feels exciting, and others when it feels very scary, and almost like I’m grieving for something being over. I cried buckets on the last night of big brother, and when curly headed boy started school, but in a way they were just opportunities for a few tears to do with something deeper. As my mentor says ‘the greatest transformation happens at the border of order and chaos’, i.e. nothing gets changed without some discomfort! So onwards and upwards, one step at a time, is my motto at the moment. Is life changing for you too, or is it just those of us in the mid-life crisis? ** I am now an affiliate of jigsawbox as well; of course, because I think it is fab, I want to share it with other coaches/therapist/trainers out there. If you decide you like it after hearing from me, feel free to email me for more info, and I’d really appreciate you using my affiliate link. I haven’t found anything else that even matches it a little, it has been going for over a year, so the kinks have been sorted out, and there is tonnes of support. *** Josie is one of the 3 mummy bloggers who recently went to bangladesh with Save the Children, and have started a Press for Change campaign to push Nick Clegg to commit to making the huge rates of child mortality in third world countries a thing of the past. Hows your underwear doing? Or is that too personal a question? Does it fit? Or do you have a case of the baggy pants or too tight VPL and an extra pair of boobies hanging out of the bra? Would you be happy to be caught unawares by an unplanned hospital visit? Or is it a bit skanky, tired, lost all sign of it’s original colour, with threads hanging off? I’m in the middle of a major overhaul of my life, and house (hence been a little quiet), and the most recent has been the knicker and bra drawer. The knickers got over worn during my pregnancy and were those extremely dull maternity ones. I realised how dire the situation was, when recently I’ve had some extra help around the house, which sometimes entailed taking the dry washing off the line. I suddenly realised with horror, that my underwear was not up to any kind of outside scrutiny and was a big embarrassment. I pictured them going home to their families saying ‘you’ll never guess how bad her knickers are!’. Now I’m not going to be sitting on my death bed thinking about unworn lingerie options. But I might look back and wish that I had appreciated myself a little more. I certainly feel perky when popping on my new knickers. So hows yours? Don’t wait until an embarrassing situation to be pushed into giving your underwear drawer a little spruce up. It might not get seen very much, but how much care you take over the closest garments to your skin, gives a clear sign of how much care you are taking of yourself. I know us Mums tend to go for practical, but even practical can be pretty! Plus it could help that much illusive intimacy thing, that those of us with young kids are often worrying about rediscovering. There appears to be loads of sales around at the moment, so a bag of pretty knickers wont break the bank. Then comes the even worse case of the bra! My nursing bra’s were left over from long-term breast-feeding with my son and had definitely seen much better days. I should have bought new ones then, but I just never knew how long I was going to feed for, I just ended up much more successful at it than I had planned, for a lot longer than I had expected. So off I popped to Marks and Spencers (mainly because they are close, and my 4month old hates the car). I was relieved to find that they do fittings and have a choice of nursing bra’s; so whilst a kind shop assistant tried to keep my little girl sleeping by rocking the pram, another lady shepherded me and my boy into a changing room. ’36’ she said as she measured me. ‘Oooh, that’s fab’, I said, I thought I might have put on more weight. “But I don’t think that this bra fits though?” I said perplexed. “Noooo madam”, said the assistant, with that ‘oh my god, how come are so many women so blatantly unaware, but I’m going to be patient’ kind of tone of voice. “Really, so I’m not a C cup anymore” I said? (I was always very proud of my growth from a B to a C cup due to breastfeeding my boy, I’m one of the lucky ones who keeps it afterwards). “No, your an E” she said. “WOW”!!! So I’m now the proud owner of two 36E bras, breastfeeding rocks!!! (Ok I know I’m meant to concentrate on all the wonderous blah, blah, blah things about breastfeeding; but my head is just concentrating on WOW). So learn from my mistake and get yourself measured. Your boobies will feel appreciated, and mine look a hell of a lot better in a bra that fits. I have one complaint though. I then went off online to get another couple of bra’s as M&S only had one pack of two that I liked. Apparently 36E is difficult to find, and loads of the websites don’t have a useful option to limit your search straight away, so it takes ages to find ones you like and then see if they have the size. Now apart from the obvious ones like figleaves and bravissimo, the websites were awful and a lot of the choice was just plain old frumpy. No wonder my originals were frankly unimaginative. So to maternity/nursing websites out there, here is a little plea. Remember we are women, and we generally feel better when we are dressed as such, rather than as plain old frumps. Plus, we are knackered, and frazzled, so your website with small text, rubbish pictures, and terrible search options will put us off immediately! Right I’m off to admire my breasts. Cross your fingers for me that I keep them this time as well!